Binge watching entire seasons of shows like House of Cards is not out of the ordinary for many people. With more than 50 million Americans subscribed to Netflix, it reigns supreme amongst the streaming options. The good news is you no longer have to rely on your phone or iPad to catch the latest episode of Scandal. You might even have a device in your home that allows streaming to your big screen TV. Don't worry if you don't, though, there are many affordable options available. At CreditDonkey, we see the rise in popularity of cord cutting. People want to make television more affordable. It makes sense. We set out to find ways to help make it easier for you. A Netflix subscription is considerably cheaper than a cable or satellite subscription. You get thousands of choices for just $9.99 per month. Our mission is to provide you with all possibilities for Netflix streaming. 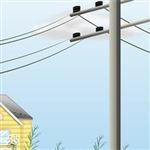 It may help you get one step closer to cutting the cord. If you don't want to deal with another device, don't worry. Many smart TVs have the Netflix app pre-loaded. If your smart TV doesn't have it yet, you can likely download it from your TV's app store. Before you start, though, check your Internet speed. Netflix requires a strong Internet connection. An Ethernet connection works best, but if your TV is Wi-Fi enabled, it may work well enough. This is worth checking out before getting hooked on a show. Unless, of course, you enjoy a nice, long pause right at your favorite part. If you need to check if your smart TV has Netflix pre-loaded, head to the pre-installed app list. Generally, heading to the main menu on your TV will point you in the right direction. From there, search for Netflix. If it doesn't show up, head over to the app store on your TV. Search for Netflix again. Now you can download and install it. LG: If you want a television with instant access to the Netflix app, LG offers several. Upon turning the TV on, the apps are available instantly. It even restarts Netflix upon starting up if it was your last used app. Samsung: A few Samsung Smart TVs also have the same features as LG, resuming Netflix right away and quick app startup. Samsung also makes it easy to toggle between its many apps. Sony: Several Sony models have the same convenient features as the LG and Samsung models. Many Sony TVs also have a Netflix button on the remote for instant access. The next best thing to streaming Netflix on your smart TV is using a Netflix streaming device. Almost any streaming device on the market today does the job, playing video without issue. We look for ease of use rather than performance; you want a device you can easily set up, navigate, and search. Our top choice for a Netflix streaming device is Roku. Both the Streaming Stick and the Ultra provide great responsiveness and simplicity. They also allow private listening with the use of headphones. Keep in mind, though, that you may have to rely on your Wi-Fi, as not all versions have Ethernet ports. If your Internet connection is weak, you may want to beef it up before purchasing Roku. Video game fanatics often don't have to worry about a smart TV or streaming device. Most game consoles today serve as much more than a platform to play games. All major gaming systems have Netflix available in some format - even the handheld versions. Xbox: The Microsoft Xbox line is our top pick for a game console for streaming Netflix. You don't have to buy any additional memberships to stream Netflix. As long as you have a Netflix subscription, you simply download the app on your Xbox and start streaming. You can even customize profiles for up to six people in your family. Netflix then suggests shows and movies based on your preferences. Tip: Set up a profile for your children and their age-appropriate shows pop up for them. This keeps your grownup shows away from their young eyes. Because numerous game consoles offer streaming, we thought they deserved an honorable mention. PlayStation 4: Sony preloads Netflix on the PlayStation 4. Just power up your device, click on the Netflix logo, and log into Netflix. You can stream in a matter of minutes if you already have a Netflix account. Nintendo 3DS: To get Netflix on your Nintendo 3DS, navigate to the Nintendo eShop and search for Netflix. From there you can download the streaming app. Once downloaded, you can access the app from the home screen and watch your favorite movies on the device. Nintendo Wii: You can download the Netflix app on the Nintendo Wii for zero Wii points. Once downloaded, you can access it from the console's main menu. There are still more options for non-gamers who don't want to purchase a TV or streaming device. Apple TV: If you are a diehard Apple fan, you might already have Apple TV. Aside from playing Candy Crush and Trivia Crack, you can stream Netflix. Don't think Apple TV doesn't have Netflix just because it is not in their TV app. Netflix has a stand-alone app you can download and start streaming. Amazon Fire TV: Alexa, Amazon's personal assistant, can direct you to the Netflix app on any Amazon Fire model. Just download the Netflix app, and you can then stream Netflix shows alongside the 90 other streaming services Amazon Fire TV offers. Google Chromecast: This device works slightly differently than the Apple or Amazon devices. You don't stream directly on your television. Instead, you control the device on your computer, phone, or tablet. You then "cast" the content onto your television. While slightly harder to use, Android fanatics love this device. What if you don't want to purchase anything new? Does your TV have to collect dust while you binge watch on your laptop? Unless you still have a tube TV, chances are you will find an HDMI port on the back of your television. With a new or borrowed HDMI cable, hook your TV up to your laptop. After changing the input on your TV to the correct port, you should see a mirror image of your laptop on your TV. Now just log into your Netflix account and start watching. You can stream Netflix from many smartphones, including Android and iPhone. For the iPhone, you need Apple TV, though. This makes streaming from your phone to your TV obsolete since Apple TV has a Netflix app. The Android phone, however, works differently. You need an MHL adapter or cable. Connect one end to the HDMI port on the TV and the other to your phone. This allows your TV to mirror the content on your phone. Start up the Netflix app and you can watch your shows on the big screen. The premise of streaming Netflix is to cut the cord on cable. If you are not ready to cut the tie quite yet, you can stream Netflix with Xfinity or Dish Network. Both services offer direct access to Netflix right from their menu. Simply select "app" and search for Netflix. Once you log into your Netflix account, you can start streaming your favorite movies and shows instantly. 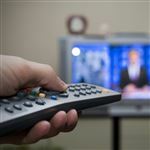 Tip: Start out streaming on your Xfinity or Dish Network platform first. When you are comfortable with Netflix, you can cut the cord on cable. You don't have to purchase any new equipment, minimizing your investment. 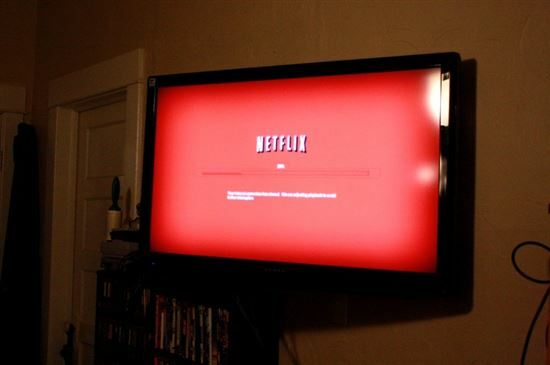 Choosing how to stream Netflix on your television is a personal choice. 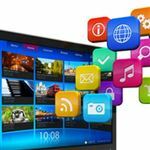 If you are ready to cut the cord on cable, maybe you invest in a Smart TV or streaming device right away. If you are not ready, streaming from a device you already have is a budget-friendly option. We suggest starting with something you already own, such as a laptop or game console. Take your time and see how you like Netflix. From there, you can start paring down and investing in a device with direct streaming. Leave a comment about How to Get Netflix on TV? Share on Facebook "How to Get Netflix on TV"